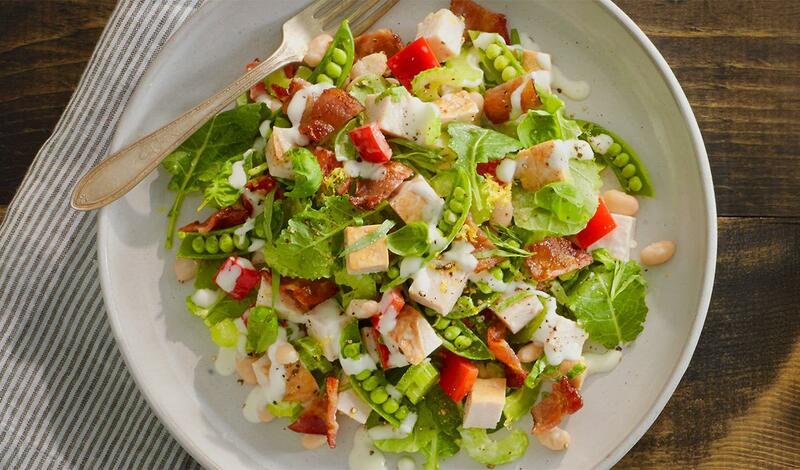 Smoked turkey is combined with crispy bacon pieces, fresh peas, shaved celery and baby kale. Mixed with lemon zest and fresh herbs for a bright flavor combination. Combine all ingredients and gently mix to evenly coat.